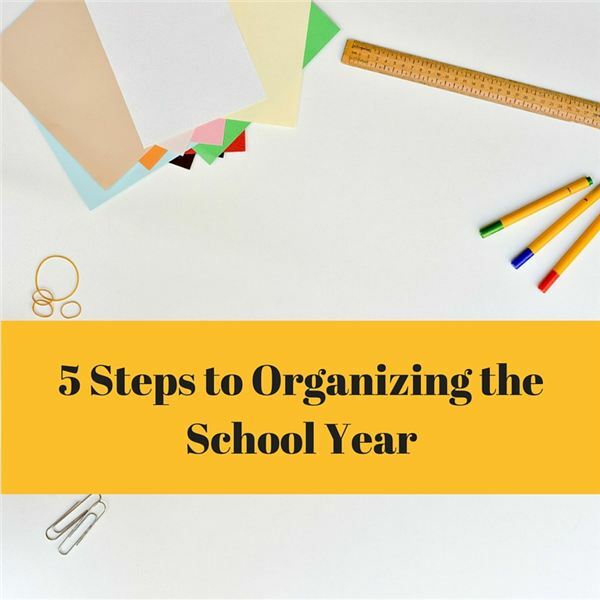 Start with an easy-to-use system that will keep kids organized throughout the year. Establish specific notebooks, materials and places that kids put thing when they are not using them. They will know exactly where to go when they need something and won’t lose things as easily. Have a routine that kids can stick to. Getting kids into the habit of keeping organized and putting things back in their place once they are done with their materials will prevent chaos in the end. Invest in small containers or crates where you can store small items. Much of the clutter that accrues in your house and at school is there because of small items that pile up over time. Putting small items into receptacles can create order. For kids with attention difficulties, use visual cues. Colorful binders catch their attention and labels help them find what they need more easily. Use apps such as Notes or OneNote to organize digital projects for school. Teach your child how to organize media files and apps. Take time to do this on a regular basis to stay organized. By making the work space a fun and exciting place to be, kids may be more likely to stay organized and to keep up with important tools for school projects and deadlines. Use vibrant, stylish colors to improve the look and feel of your child’s study area. Keep important tools in trendy containers and compartments. Provide adequate lighting and space for kids to work comfortably, as well. The most important thing parents can do to keep their child organized is to teach them skills and help them develop a system of organization. Empowering kids to become and stay organized gives them important skills that will benefit them no matter what they do in life. All it takes is a few minutes out of the day to reorganize when clutter or chaos start to set in. Teach your kids to weed out and throw away unnecessary things so that what they are left with is simplicity that works. Organization is not something kids will just need at school. They will use it throughout their lifetime. Teaching kids responsibility involves more than just turning in homework on time—this ongoing skill will follow them throughout lives and help them stay on top of the game, for real.